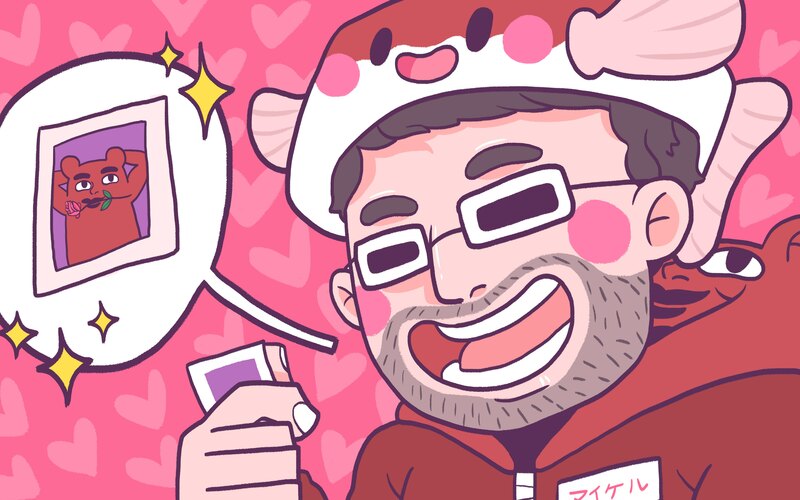 Michi No Eki: Japanese Stamp Rally in Hokkaido Gotta Stamp 'Em All! Stamp rallying is very popular in Japan. There are Pokémon stamp rallies, convenience store stamp rallies, curry stamp rallies, and many more! The concept is simple. You have a special book or sheet of paper. You take that book to interesting places, which have rubber stamps for you to use. You stamp the book. If you collect all the stamps you can win big prizes! Yay prizes! This is not to be confused with the other colloquial use of スタンプラリー in Japan, which refers to paperwork caught in a bureaucratic tangle that has to be stamped by many departments before it can proceed. Today's subject is a lot more fun than a bureaucratic stamp rally. I'm going to tell you about my favourite, the Hokkaido Michi no Eki Stamp Rally, and how you can do it too. There are 1030 Michi no Eki in Japan. 114 of those are in Hokkaido! Hokkaido is big. Really big. And it's full of treasures. 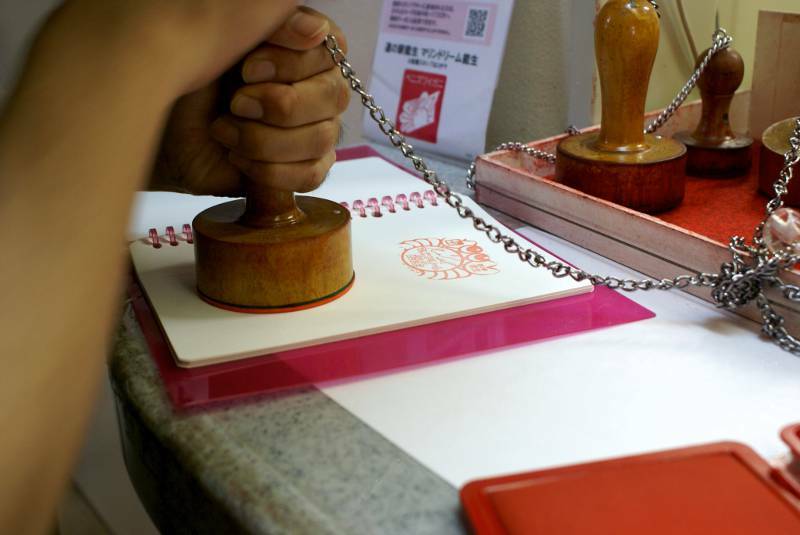 It's the only prefecture apart from Okinawa to have its own stamp rally. All the others have to combine into regions. But what is a michi no eki 道の駅（みちのえき）? Literally translated it means "Station of the Road". Some might say that Michi no Eki are mere service stations. Those people are fools. Michi no Eki are wonderlands of fun, just waiting for you to visit and discover them! OK, yes, they do share a lot of features with service stations. They have toilets, vending machines, parking areas. Some have cafes. But there is something special about Hokkaido's Michi no Eki. And that something special is different in each one! How about a Michi no Eki with a crane sanctuary where you can see Red Crowned Cranes? Or a Michi no Eki with an onsen right inside it? Perhaps you'd like to visit the Michi no Eki with a huge clock tower full of wooden gnomes playing musical instruments. Or the Michi no Eki that is towered over by dragons? And I haven't even started to tell you about the food. Betsukai's Michi no Eki has local ice cream. When you're in Furano, you know it's all about the lavender – lavender flavoured everything! I had an epic baked curry in Kenbuchi in a restaurant that seemed to have been carved entirely from wood. Want melon soft cream ice cream? Head to the Yubari Michi no Eki. It's cheaper than the Yubari melons themselves, the most expensive in the world. At Michi no Eki you can eat local delicacies from Hokkaido, land of delicacies! One of the best things about Michi no Eki is that they celebrate the local regions of Hokkaido. If you don't have much time to visit an area, popping into the Michi no Eki will help you get a feel for what is special about it. If you do have time to visit longer, Michi no Eki also act as Tourist Information Offices to point you in the right direction. Michi no Eki have three stated purposes. First, they are places for drivers to take a break. Tired drivers are not safe drivers. By being more attractive than simply pulling over in a layby for a nap, Michi no Eki are intended to encourage drivers to rest frequently. Secondly, they provide information for both people passing through and locals. This includes road condition information as well as tourist information – I once was treated to an explanation of of Hokkaido's deer population at Akkeshi's Michi no Eki. The third purpose is to promote regional cooperation. Michi no Eki serve as a hub for the community, as well as a place for visitors to interact with that community. The local connection is the main reason I'm recommending Michi no Eki to you. If you want to find local souvenirs, Michi no Eki should be your destination. They are a great place to pick up interesting omiyage that aren't just generally "Hokkaido" themed, but are specific to the area you visited. 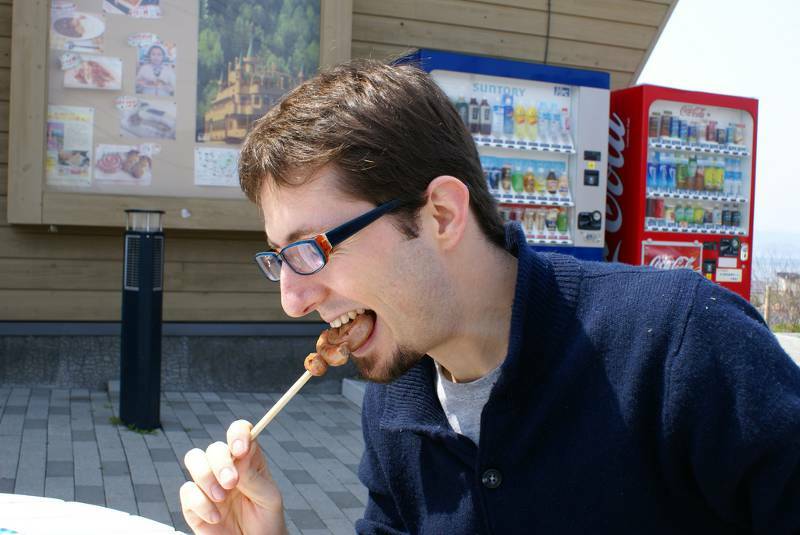 If you don't have much time in Hokkaido, Michi no Eki are a fantastic way to get a taste (literally and figuratively) of this incredibly diverse prefecture. From the squid in the South-West to the onions of Kitami, you'll be able to sample the best of Hokkaido. Getting Started on Your First Japanese Stamp Rally! OK, but what about the Stamp Rallying? First, you need something to stamp, a pokédex of stamps if you will. Alas, no Professors hand these out, but you can buy one for about the price of a soft drink from any Michi no Eki you visit. 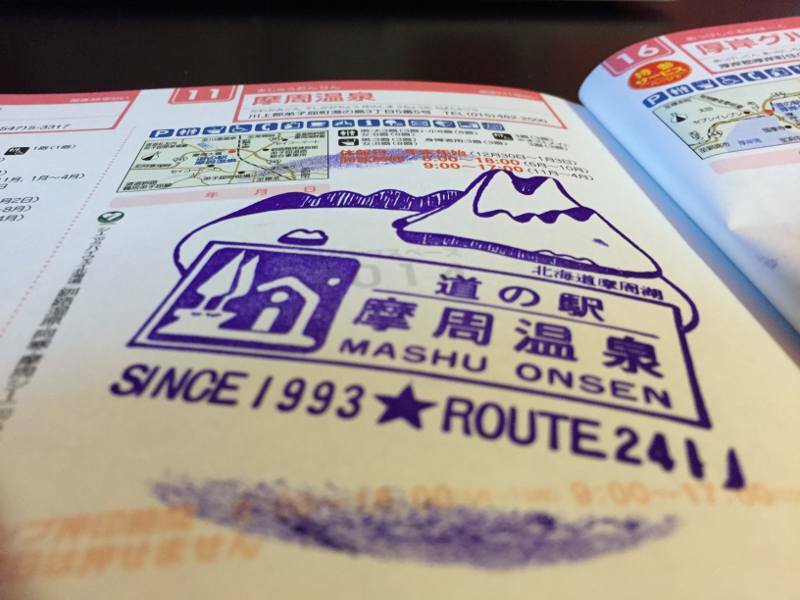 If you're planning a stamp rally trip, you can pick one up at your first Michi no Eki. Each page has space for two stamps. You have to put the stamp on the right page. Even if you don't read Japanese, this is usually pretty easy as the place where the rubber stamp is kept often has a little sign telling you the page number. Don't worry if you do make a mistake. There are a couple of blank pages at the back of the book. If you collect all of the stamps, you'll get a certificate of completion. You are also entered into a prize drawing to win things like an onsen trip for two, electronics, and many smaller prizes like bags and files. My heart burns with a desire to get that certificate of completion. Once I started stamp rallying it became a bit of an obsession, which led me once to spend more than one entire day doing nothing but drive from Michi no Eki to Michi no Eki. If you're the kind of person who finds joy in completing things, stamp rallying is a good thing to get into because it is also fun to explore while collecting your stamps. Your stamp book also comes with a handy map and a heap of information. Each stamp space has the opening hours and other useful information about each Michi no Eki. The stamps are only available during opening hours, but if you visit when the Michi no Eki is closed you can take a picture of yourself in front of the sign board with your book. That counts towards your total if you are going for the challenge of getting all the stamps. The map is very useful whether you are stamp rallying or not. Driving can be tiring, but Michi no Eki are spaced apart in just the right way to refresh you. 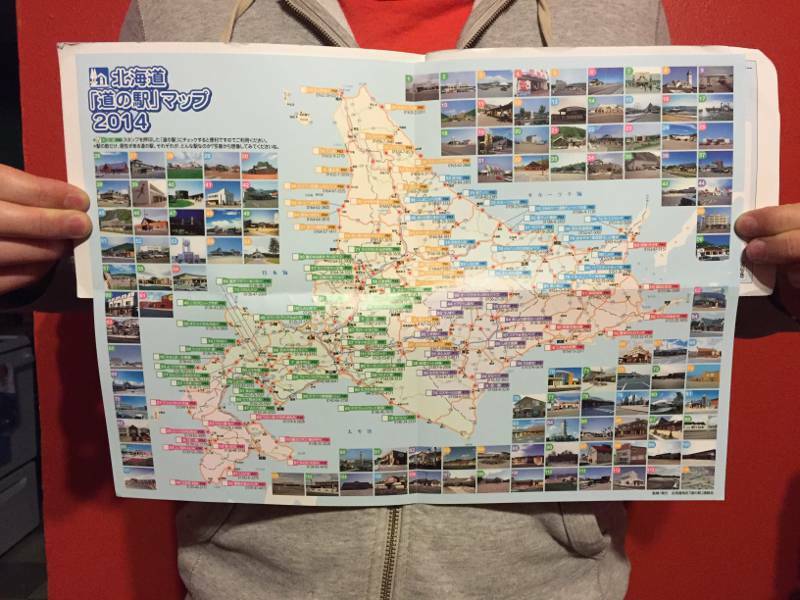 If you have a long drive to do in Hokkaido, pull out your Michi no Eki map and plan your stops in advance. Michi no Eki always have toilets and drinks vending machines. At some you can have a sit down meal of local produce. At a few you can even visit an onsen, to really refresh yourself for your onward journey. A lot of people think of Hokkaido as only a winter destination. While it is true that the powder snow is sweet up in the northlands, there is more to Hokkaido than just snow sports. For many Japanese tourists, Hokkaido's summer provides a refreshing escape from the heat and humidity of the south. That's not to say Hokkaido is cool in the summer, but it won't make you sweat so much that you dehydrate and look like an umeboshi. Autumn is also very pleasant, especially with the changing leaves that turn the hillsides red and gold. 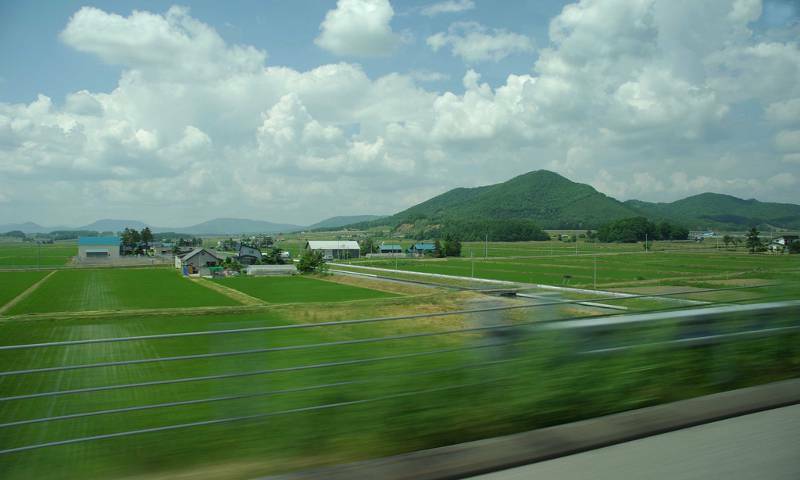 Hokkaido doesn't yet have a Shinkansen to whisk you across its wide-open spaces. There is a train network, but it misses out a lot of the true gems of Hokkaido. In fact many Michi no Eki are built on the sites of old train stations that closed as the rail network shrank. So a car is really the best way to go in Hokkaido. Aside from your stamp rally book, what do you need to have a successful road trip in Hokkaido? First up, if you are coming from outside Japan you'll need your International Drivers Permit. You need to get this in your home country BEFORE you enter Japan. With that you should be able to rent a car and drive legally in Japan. Then, check out this essential driving in Hokkaido pamphlet. It includes useful information on car rental, local highlights and those wonderful Michi no Eki. Next you have to consider the seasons. If you are visiting in the winter you will want a car with good winter tires and four-wheel drive. Those cute little kei cars with their yellow license plates might be a bit cheaper, but they are really only good for driving in towns. You can be blown off the roads in one of those wee little cars. No joke. If you aren't a confident winter driver, I would recommend saving your Hokkaido road trip for another time. The road conditions can get ugly. They don't salt or grit the roads in Hokkaido like they do in many other countries. Roads are plowed, but they still have a thick layer of ice throughout most of the season, and you need to be careful of the high snow piles that can obscure your view. Also, ensure you have supplies in case you get stuck in the snow. A shovel, emergency rations and a blanket or sleeping bag are all must-carry items if you're planning a long trip. Most of the Michi no Eki remain open in the winter, but a few of the more remote ones are closed because the roads leading to them are closed by snowfall, so you won't be able to stamp them all in a single winter. Summer is a completely different story. Summer is made for road tripping! You'll get to see the lush mountainsides, fields of flowers stretching as far as the eye can see, adorable cows ambling around in green pastures. In summer, Hokkaido's roads are at their best. There are some toll roads, which have a higher speed limit than the normal roads. Hokkaido has the same speed limits as the rest of Japan. Sometimes, when you're on a clear straight road that stretches for miles, this can seem restrictive compared to other countries. However, don't be tempted to speed. A ticket from a cop will ruin your trip and the countryside is beautiful enough to warrant taking it slow. If you want to go rallying elsewhere in Japan, you can do that too. Most regions of Japan have a stamp rally system. Of particular note, in the Tohoku region (Aomori, Akita, Yamagata, Iwate, Miyagi, and Fukushima Prefectures) shares one stamp book and it has been rolled into the reconstruction efforts. If you reach all the Michi no Eki in Tohoku, you receive a letter of thanks for visiting Tohoku and supporting the region. However, some Michi no Eki in the worst affected areas have not reopened. For me it's best if I don't think too much about other stamp rallies. Trying to complete one is enough. Since I was the only one of my JET friends with a car in our town, I used to drag them to Michi no Eki whenever we went anywhere. While they had an ice cream or used the facilities, I headed straight for the stamping station. The feeling of slamming down a rubber stamp onto my book was fantastic! It was a mark that said, "I was here." Also lots of the stamps have pretty cute pictures. As further swag, I would usually pick up one of the town sign magnets in the gift shop. 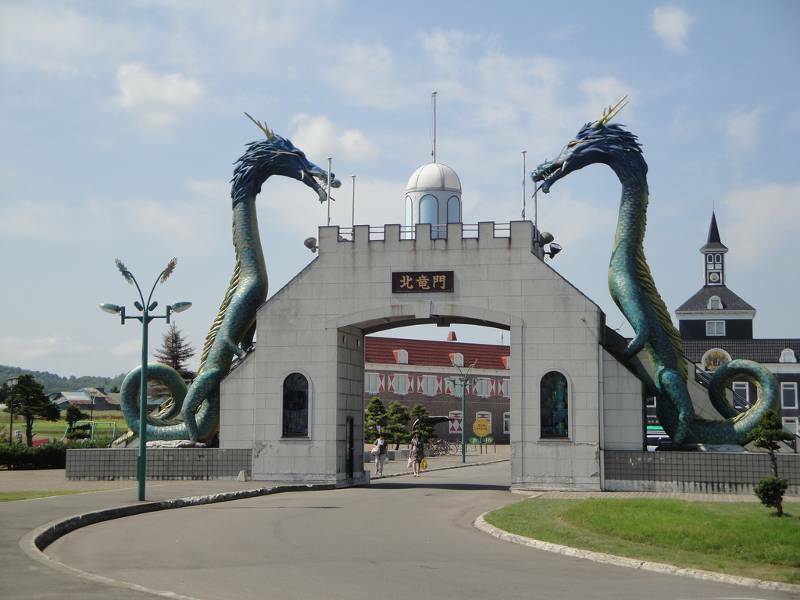 Each town in Hokkaido has a unique sign, and you can see them as you drive along. The pictures represent what is special about that town. Sometimes they are beautiful, like Akkeshi town's flowers. Other times they are pretty goofy, like Kitami's rugby playing onion man. My fridge is covered in them, but sadly my collection is incomplete, even after three years. Hokkaido is really big after all. I never managed to complete my stamp rally book either, a fact which still haunts me to this day. Stamp rallying is quite addictive. I shall return to Hokkaido. 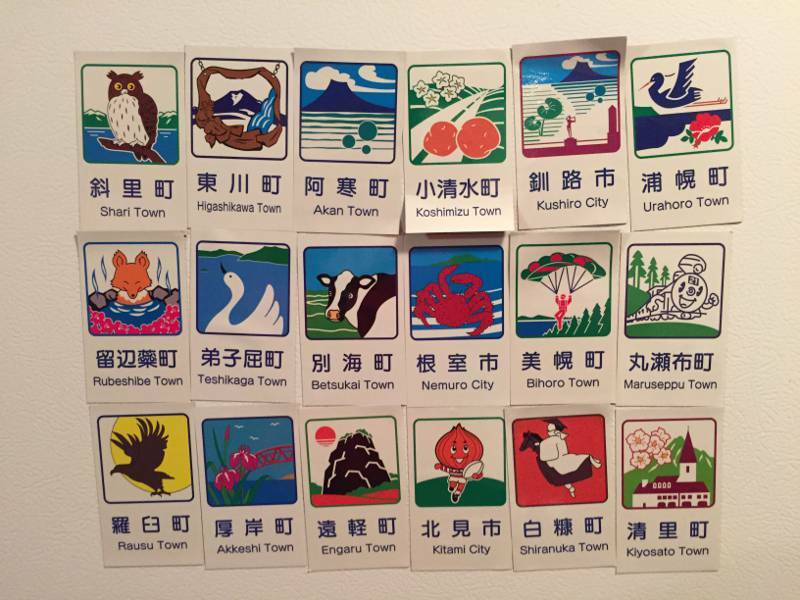 I shall complete my collection of town magnets. And I shall win the Hokkaido Michi no Eki Stamp Rally certificate of completion, or die trying1.